(Latino) – Technically a street, Balmy is referred to by long-time San Franciscans as an alley, and it is one literally colored by culture. 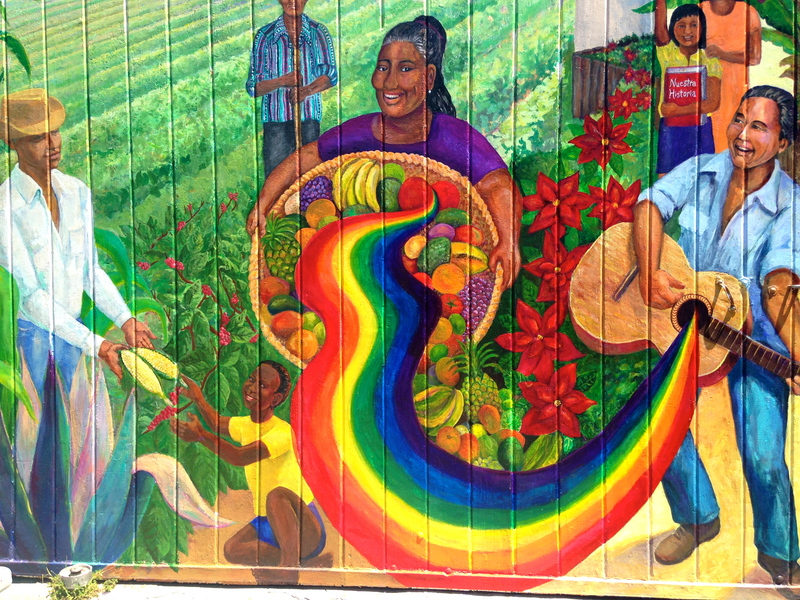 Murals along the way tell stories of suffering, migration, and hope. 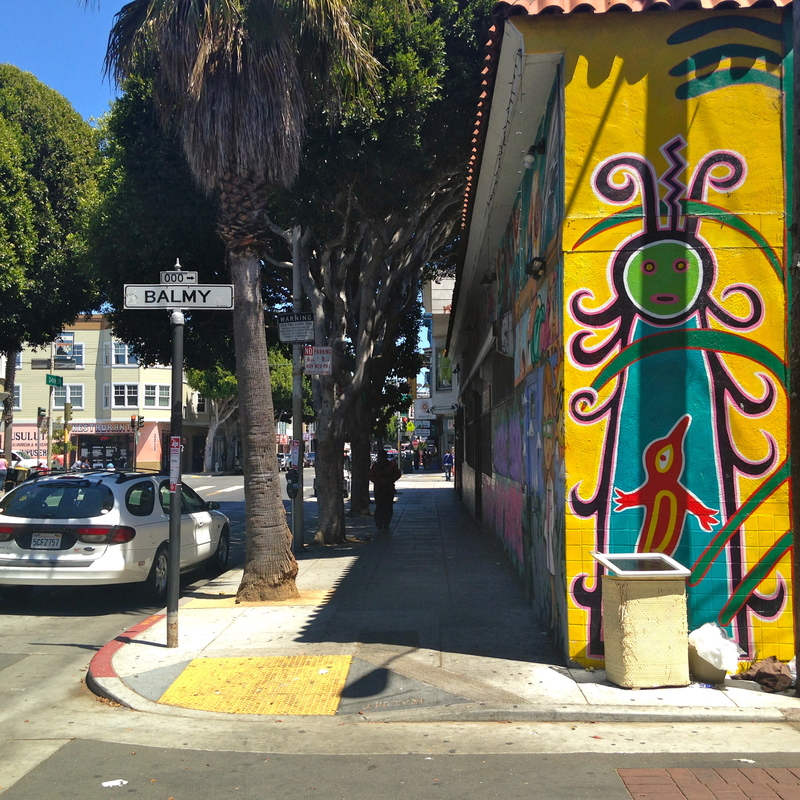 Crossing 24th street in the Mission District, the tiny road is visited by dozens every day, local people and tourists who want to learn the stories its murals tell. A group of local artists and Artivists transformed the alley the 80s. 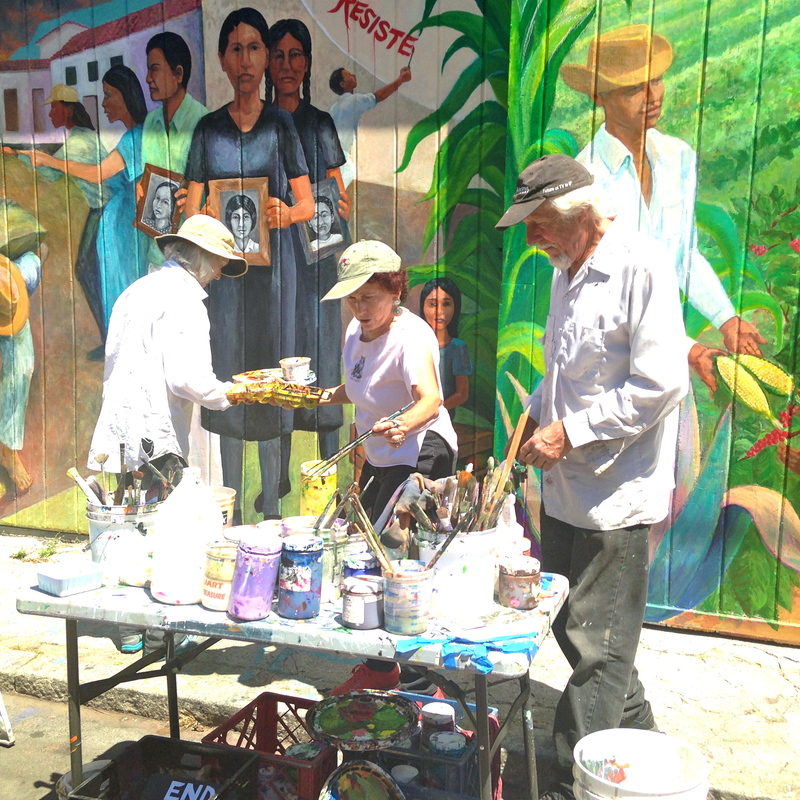 They wanted to show support to Nicaraguans and Salvadorans who were leaving their country after civil wars and they thought that by painting the walls in the alley, they would make the new immigrants feel welcomed. The City of San Francisco also thought about giving the new immigrants a warm welcome by declaring that SF was a Sanctuary City. The mural below is one of the originals. Artists Miranda Bergan and O’Brien Thiele worked on many of these murals in the 80s. In 2013-2014 along with friends and fellow artists, they worked on renovating some of the murals using their own funds, and through a campaign on IndieGoGo. I saw Miranda and friends one afternoon working on it one afternoon and felt inspired by their love for other people, their pride for what they do, and their commitment to using their talent and wealth to give to communities. To Miranda Bergan, public art transcends politics and unites communities. Gentrification, she says threatens local culture and art, as artists such as herself have had to leave due to the high cost of living. Next time you go to the Mission District remember to visit Balmy St., or Balmy Alley as known to locals. Original Content by Lupita Peimbert. ©2014. Previous The Most Revered Woman.